Being the owner of your own business also means that you need to step into a leadership role for your team. What’s interesting about leadership is that your decisions will either make or break your company’s future. It is a tricky job being the leader, but it is also a privilege to be trusted by your teammates and your clients to lead them to victory. Better yet to be the one to fulfill your business’s mission and vision and help make success possible for everyone. 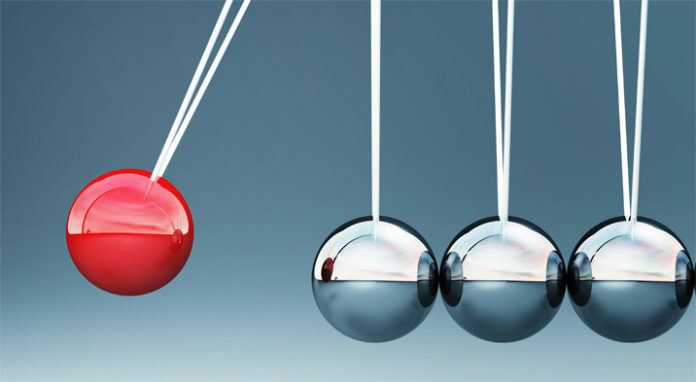 Learn these 5 basic strategies to create momentum in your business. Prove to be worthy of your company’s trust, and learn how to start guiding your team towards success STARTING TODAY. As you journey through your business, you are always just a few steps away from reaching your dreams. With the power of mindset, passion, optimism, hope and hard work you will get there faster than you may have ever thought possible! NOTE – If your up-line sponsor doesn’t have a step-by-step blueprint for you to generate 50+ leads a day for your MLM business, on complete auto-pilot, drop whatever you are doing and… Click HERE! 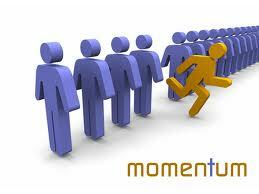 In the home based business industry – momentum could be just minutes away. In fact, at any point in time JUST ONE PERSON can help put your business into rapid -fire momentum. If you just gain a new and positive perspective and GET FOCUSED. You can’t go on chasing dream after dream without fulfilling any of them and a big part of success is picking one path and sticking to it. Remember that it typically takes 3 to 5 years to reach unstoppable momentum in any business. Now is the time for a more proactive mindset towards finally achieving a goal you have longed to reach. 1. Success should ALWAYS occupy your thoughts. Now is not the time to settle for less. Learn how to be ambitious. After all, it’s for your own good. Know your priorities and live with the things that will lead you to reaching the ultimate fulfillment of those visions. Whether your aim is financial stability, fame and prestige or even helping other people, you will surely succeed if you keep it in your mind that you will do it. Live like every day is an opportunity of a better life. Surround yourself with successful people. 2. Have a strong sense of passion and dedication in whatever kind of business you’re in. Doesn’t it just feel better to be the best in what you love doing? It is the only way you can maximize your strengths and at the same time earn from it. The most practical way of living happily and treating your business as your life is through loving what you do. First, do what you love, and then, you will always love what you do. 3. Learn that you cannot please everybody. Do not grovel over the people in your business that you have lost or that may have fallen out. Instead, focus on the future and what you can do to build a stronger team. Believe in what you do and continue to work on yourself and your life skills so that you have more to offer. Know that you will always be successful as long as you have the passion and the determination to get it. Don’t start your business with a timeline saying if I am successful by this date I will continue, if not I quit. The key is to work harder on yourself than you do on your business. Always strive to learn more and to become more. 4. Have a good plan. No goal can be reached without a good plan. And even after you have created a good plan, don’t stop there. 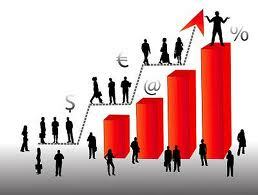 You still need to have the follow through and take the action steps to take your business to the top. Get in the habit of materializing your plans through discipline, mindset and ACTION. Don’t think that spontaneity alone is always the name of the game or will it take you to the top. Of course it is needed, but you must have the daily action steps that are the life blood of your business. You must always be connecting with new prospects and be following up with your list of prospects in your funnel. Remember that it takes between 5 to 12 connections or exposures to recruit a new rep into your business. 5. I always recommend for people to take some time each day to meditate and focus on the feeling of gratitude. Be grateful for what you have while you pursue what you want. The more you focus on this feeling, the more positive things will start to show up for you in your life. The only direction is UP! Keep yourself busy with INCOME PRODUCING ACTIVITIES. It is great to be busy, but how much of what you are doing is actually helping you to become successful and generating an income? Don’t stagnate by just working hard and keeping busy, strive to be connecting with new people or doing follow up with potential prospects. Learn how to have a sense of responsibility, balance your activities to ensure you are generating a steady stream of income. After all, you were chosen because you are trusted. Prove to your team that you are worthy of that trust, and be the best alpha leader there is. Additional online training to help you Sponsor More in MLM is available with Darren Little. Increase Your Karma by sharing this article if you liked it with the share buttons below. And if you would like to speak with me personally, feel free to pick up the phone and call me direct at 604-771-1901 or add me to Skype at DarrenLittle11. 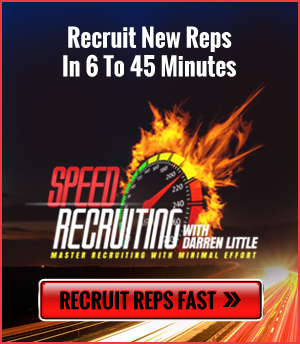 Recruit New Reps In 6 to 45 Minutes. 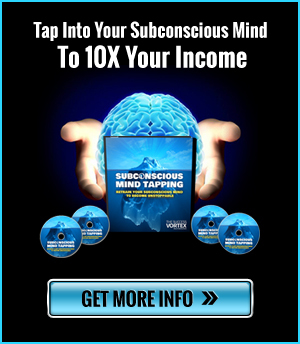 10X Your Income By Tapping Into Your Subconscious Mind. Learn My $1K Per Day Facebook Formula. Considering Coaching? Check out the Work With Darren tab and reach out anytime. PS: If you haven’t recruited anyone, or fewer than 10 people, this Course on SPEED RECRUITING will really help (only a few copies left before the price increases again).